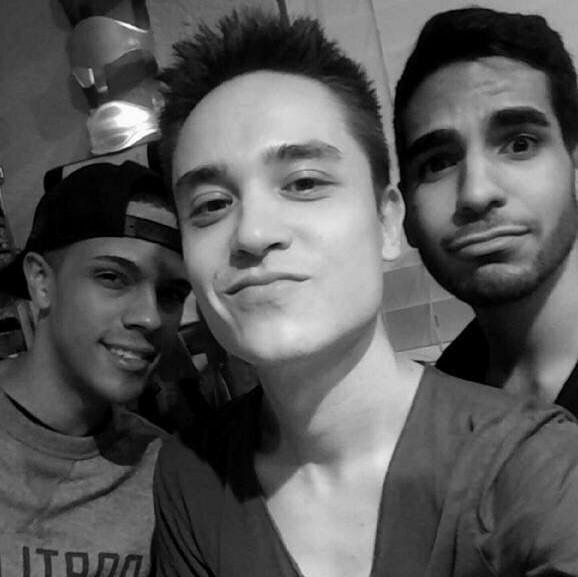 Wolf lost his best friend, Drew, and Drew’s boyfriend, Juan, during the 2016 attack on Orlando’s Pulse nightclub, where 49 people were gunned down. Hey Twitter. I’m Brandon Wolf (@bjoewolf), a @pulseorlando shooting survivor here for an #HRCTwitterTakeover to talk about the shooting at Stoneman Douglas High School in Parkland, Florida, gun violence and my friend Drew. It’s been 19 years since Columbine. And less than 24 hours since the shooting in Parkland. There have been 18 school shootings in the last six weeks. People are dying. Kids are dying. How many more lives lost, families broken, dreams shattered can we take? What will it take for lawmakers to act? Lives are on the line. I would know. In the shooting at Pulse, I lost my friends, including Drew. He was my once-in-a lifetime person. He was there through thick and thin and taught me how to love myself. 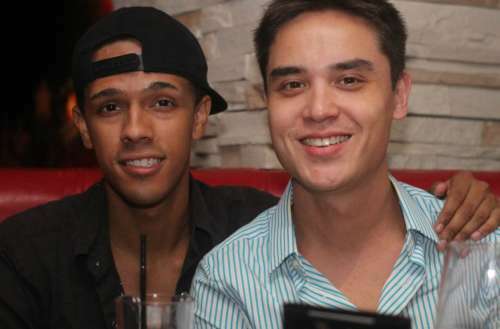 Drew and his boyfriend Juan were soulmates who embodied love and profoundly touched the lives of everyone they knew. I’d been planning for a quiet night but Drew convinced me to hang out. Drew & I met up to go dancing with our boyfriends, Juan and Eric, at @pulseorlando’s Latin Night. Pulse was a place of solidarity & empowerment — a safe space to be yourself. I was with Eric in the bathroom when we heard shots & had no idea what it was. Drew and Juan were on the dance floor. We thought it was the sound system, but then people began pouring into the bathroom and all we could smell was blood and smoke. Eric and I ran and escaped but couldn’t find Drew or Juan. I wanted to go back so badly, but it was too late. I fell to the sidewalk and cried the first of so many tears for friends I knew were gone. How did this happen? 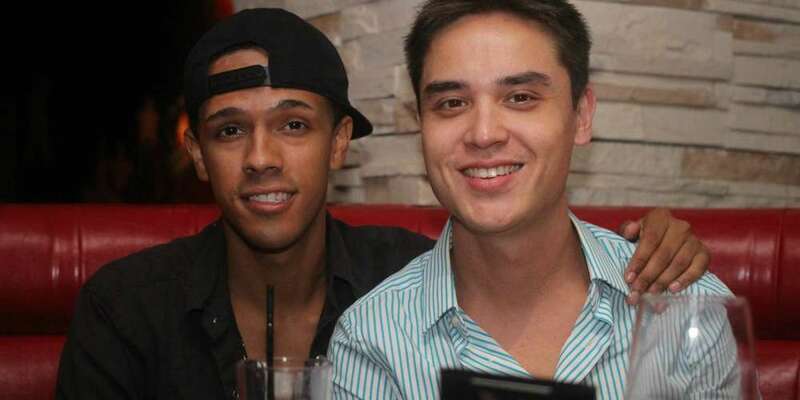 Drew & his boyfriend, Juan, embodied the best of the LGBTQ community. They were inclusive & kind, but, in an instant, Drew, Juan and 47 other beautiful souls were extinguished in a fusillade of bigotry and gun fire. Weeks after the attack, my friends and I launched The Dru Project, a nonprofit organization that sponsors Gay-Straight Alliances in public schools and helps send future leaders to college. When it happened, the tragedy at @pulseorlando was the deadliest mass shooting by a single gunman in U.S. history. That changed when a gunman opened fire on a crowd of concert goers in Las Vegas, killing 58 people on October 1, 2017. It hurts so much to see coverage out of Parkland. ? These are KIDS. Parents shouldn’t be terrified to send their kids to school. We must do something to stop this epidemic of gun violence in our country. We need #GunReformNow. Drew had so much left to give. He lost his voice much too young but we didn’t lose ours. We can’t give up. Parkland, you deserve better. America, we can do better. This Pulse survivor won’t stop fighting and neither should you. To find out more information about The Dru Project, head here.